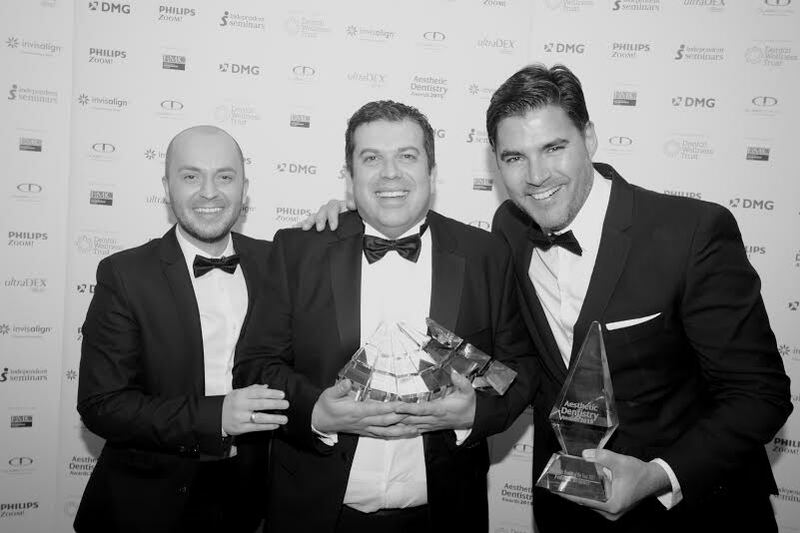 The Brighton Implant Clinic & Advanced Dental Surgery celebrated as Dr. Federico Brunner and Dental Technician, Petr Mysicka, were announced the winners of four awards at the National Aesthetic Dentistry Awards 2015 held in London on March 18. The duo submitted examples of their first-rate work and were selected the winners for demonstrating excellence in the categories of Multiple Implant Case, Single Implant Case, Interdisciplinary Team Case – Restorative. The panel of 23 judges also awarded the pair some of the industry’s highest accolades, naming Dr. Brunner the Aesthetic Dentist of the Year 2015 and Mr Mysicka, Aesthetic Technician of the Year 2015. Each category won by the pair focuses on the challenges faced and overcome in a particular treatment plan. The judges look for excellence in the approach and resulting work of the dentist and technician. Clinical Director, Dr. Bruno Silva, said he was pleased and proud Dr. Brunner and Mr Mysicka were officially recognised for their outstanding work. “The Aesthetic Dentistry Awards is one of the most important and prestigious events for dentistry in the United Kingdom. Every member of our team strives to achieve excellence, and Dr. Brunner and Mr Mysicka are fantastic examples of what our clinics have to offer. Last year they were also awarded the Best Single Implant Case 2014,” Dr. Silva said. Originally from Argentina, Dr. Brunner graduated from dentistry at the University of Madrid in 2001. He worked as a dental surgeon in Spain, and completed post-graduate training and attended several courses in the United States, Spain and Cuba. Dr. Brunner joined the Hailsham clinic where he has a special interest in dental implants, Digital Smile Design and cosmetic dentistry. Mr Mysicka was born in Czech Republic but now living in Brighton. Petr studied dental technology, followed by nine years of working in a dental laboratory. He joined Brighton Implant Clinic in January 2013. Petr has an interest in ceramics – porcelain crowns (zirconia, IPS emax, dental implants, veneers) and is described by his colleagues and patients as meticulous and friendly. Brighton Implant Clinic & Advanced Dental Surgery was the recipient of the Best New Practice in 2009, and the Most Attractive Practice 2010 for outstanding architectural design at the Hove branch.